In the mid 1990s, we started to run into an ever shrinking pool of IPv4 addresses. According to the Wall Street Journal, February 1, 2011, was the week the last batch of Internet addresses was doled out. Because of the growing proliferation of network devices and the expanding Internet, Internet Protocol version 6 (Ipv6), is built into Windows Server 2008. 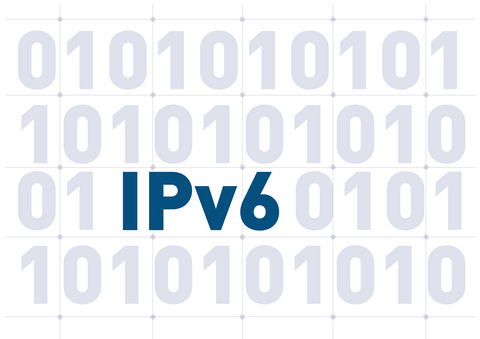 Ipv6 is a new suite of protocols developed to ensure growing Internet client needs. The IPv4 scalability will no longer meet the challenges ahead. IPv6 is very different from IPv4 and uses 128 bit addressing represented in hexadecimal as opposed to 32 bits. IPv6 does not use subnets, it uses IPv6 prefixes. Those of us who struggled getting to know how to configure how to subnet in IPv4, and finally got it, now have an entirely new challenge. We have to learn about link-local addresses, and how to configure and test IPv6 addresses. We also have to learn how IPv6 will work with IPv4, IPv6 tunneling technologies, how to transition from IPv4 to IPv6, and how to troubleshoot IPv6. Quality of Service (QoS) Handling No id of packet flow for QoS by routers present in IPv4 header. in IPv6 header with the Flow Label field. Fragmentation Done by both routers and sending host. Only done by sending host. Checksum Included in Header. Not included in Header. Options Header includes options. Optional data moved to IPv6 extension headers. Address Resolution Protocol (ARP) Broadcast ARP Request frames to resolve IPv4 address to link-layer address. Internet Group Management Protocol (IGMP) IGMP is a communications protocol, like ICMP, used by hosts and routers on an IPv4 network, to establish multi-cast memberships (Manages local subnet group membership). 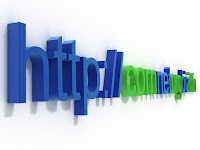 Internet Control Message Protocol (ICMP) Router Discovery ICMP Router Discovery (optional), uses router advertisements and solicitation messages to determine the IPv4 address of the default gateway/router. IPv6 can be used in Microsoft implementations without affecting IPv4 communications. Windows XP SP1 and SP2 and Windows Server 2003 have the IPv6 protocol. Windows CE .NET versions 4.1 have the IPv6 protocol. Windows Vista and Windows Server 2008 have the Next Generation TCP/IP stack, a dual-layer construction where there is one TCP and one UDP for both IPv4 and IPv6 protocols. Place your Windows calculator into scientific mode to do binary to hex conversion and binary to decimal conversion. IPv6 compresses zeros in the address because a binary representation will have an enormous number of zeros. A contiguous sequence of 16-bit blocks set to 0 can be compressed using the double colon “::”. A single contiguous block of 16 bits can be converted to a double colon, "::". The high-order bits in an IPv6 address are static and are known as the prefix. They are subnet prefixes. Subnet masks are not used in IPv6. The global unicast and link-local unicast addresses are 15% of the total IPv6 address space, leaving 85% for host address assignments. In link-local addresses, you may have multiple network adapters within a single machine. Each one can be attached to different networks. The zone id can identify with link-local addresses which network a network card is connected to. Within site-local addresses, the zone id is the site id. You can see the zone id, by using the netsh command. 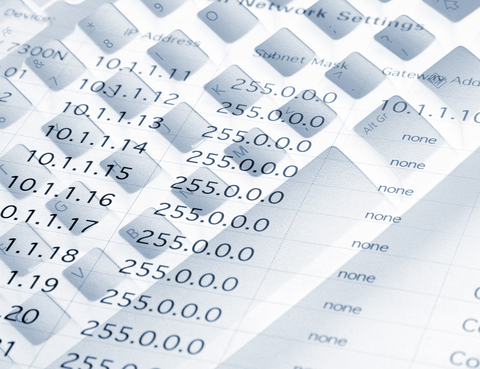 Stateless: Address configuration based on the receipt of Router Advertisement messages with the Managed Address Configuration and Other Stateful Configuration flags set to 0 and one or more Prefix Information options. Stateful: Configuration based on the use of a stateful address configuration protocol such as DHCPv6 to obtain addresses and other configuration options. DHCP is used to distribute IP addresses on an IPv4 network. DHCP is fully compatible with IPv6. With IPv6, IP addresses can be allocated in a stateful manner using DHCP. In Windows Server 2008, DNS supports AAAA records for IPv6 hosts. What is Dual Layer Architecture? A dual layer can create IPv4 packets, IPv6 packets, or IPv6 over IPv4 packets. The IPv6 and IPv4 Internet layers with a single TCP-UDP transport layer. What is a Dual Stack Architecture? A dual stack can create IPv4 packets, IPv6 packets, or IPv4 over IPv6 packets. The separate Internet layer IPv6 goes with the separate TCP/UDP transport layer. The same is true with the IPv4 layer. DNS Host records are AAAA records. DNS returns the appropriate IPv4 or IPv6 address, but IPv6 is preferred. Reverse lookup zone pointer records are in the IP6.ARPA zone. Click on Add Host box. Click OK. Click Done. Go to the command prompt. IPv6 over IPv4 tunneling is a transitional technique and allows an IPv6 node to communicate with an IPv4 network. An IPv4 header is added to an IPv6 packet so the IPv6 packets can be sent over an IPv4 infrastructure. Since IPv6 is in a transition phase, a DNS query could return a set of addresses that contain both IPv4 and IPv6 addresses. The IPv4 Protocol field within the IPv4 header is set to read 41, indicating an encapsulated IPv6 packet. The Source and Destination fields are set to IPv4 addresses of the tunnel end-points. The tunnel end-points are either configured manually as part of the tunnel interface, or, as automatic from the next hop address of the matching route for the destination and tunneling interface. Note: IPv6 over IPv4 tunneling does not provide security for the IPv6 packets. ISATAP is a transitional technology to assist us going from IPv4 to IPv6. Packets are tunneled over IPv4 routing infrastructures, which give IPv6 clients the ability to communicate using 6to4 addresses or ISATAP (Intra-Site Automatic Tunnel Addressing Protocol) addresses, to tunnel IPv6 packets across IPv4 networks. ISATAP is an address assignment and host-to-router or router-to-host, or host-to-host automatic tunneling technology. An entry in the host file on the client computer that points to the IPv4 Address of the ISATAP router. A WINS Server could also be used to discover the ISATAP router, however, WINS is being phased out. An ‘A’ record that indicates ‘ISATAP’ on the DNS server can be used to find the ISATAP router. The netsh command can be used with this command: Netsh Interface IPv6 ISATAP set router. 6to4 is an address assignment and router-to-router, host-to-router or router-to-host, automatic tunneling technology. 6to4 provides unicast connectivity between IPv6 sites across an IPv4 Internet. The local IPv6 routers advertise subnet prefixes, address: 2002:WWXX:YYZZ:Subnet_ID::/64, so hosts auto-configure 6to4 addresses. Normally used when you have IPv4 Internet in between IPv6 networks and we need to transit the IPv4 networks. In a site, local IPv6 routers advertise 2002:WWXX:YYZZ:Subnet_ID::/64 subnet prefixes, so the hosts auto-configure the 6to4 addresses. IPv6 routers within the site, deliver traffic between the 6to4 hosts. Hosts that are in individual subnets are configured automatically with a 64-bit subnet route to enable direct delivery and are also configured with a default route with the next-hop address of the advertising router. IPv6 traffic not matching any subnet prefix, is forwarded to a 6to4 router on the site border. The 6to4 router on the site border has a 2002::/16 route that forwards traffic to other 6to4 sites and a default route , ::/0, that forwards the traffic to a 6to4 relay. Teredo allows you to tunnel across an IPv4 network when the client is sitting behind an IPv4 NAT. Many routers used NAT to define a private address space for corporate networks. Teredo was created for this. Teredo should only be used when ISATAP or 6to4 tunneling is not present. Bubble packet sent from Teredo client A to Teredo client B. A bubble packet contains no data, but contains NAT mappings. Client B is behind a restricted NAT, so Teredo traffic from whatever IPv4 address and UDP port number is not allowed. The traffic is only allowed if there is a source specific NAT translation table entry. If there is no NAT translation table entry, the bubble is discarded silently by the restricted NAT. 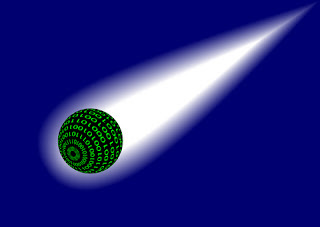 When client A forward the bubble packet, originally, it created a source specific NAT translation table entry that allows future packets sent from Teredo client B to be forwarded to Teredo client A.
Teredo client A now sends a bubble packet to Teredo client B through Teredo Server 2 (Teredo Server 2 is Teredo client B’s server). Teredo Server 2 forwards the packet to Teredo client B. When Teredo client B receives the bubble packet from Teredo client A, it sends its own bubble packet to Teredo client A.
Teredo client A determines that source specific NAT mappings exist for both NATs and subsequent packets are sent directly between Teredo clients A and B.
PortProxy is a component that allows proxy of traffic that does not support IPv6. It only supports TCP based applications. UDP applications are not supported. Not very flexible and is best to use other tunneling technologies. Question: Your network has two subnets connected by a router. On Subnet1 you have several servers, a domain controller, a DNS server, a file server, and a DHCP sever. On Subnet2, you have several laptop client computers with Windows 7 and several file servers. The file server has Windows Server 2008 R2 installed. The other servers in Subnet1 also have Windows Server 2008 R2 installed. You need to make sure the client computers can resolve the names of the other client computers as well as the file servers in Subnet2, if the router connecting the two subnets fail. What should you do? Answer: Enable IPv6 on all of the client computers in Subnet2. IPv6 supports link-local multicast resolution (LLMNR). LLMNR allows computers to resolve the names of computers in the same subnet using multicast request. Using the example in Microsoft's Technet Chapter 4 - Subnetting: The global address prefix is 2001:DB8:0:C000::/51 and we are going to perform a 3-bit subnetting. Determine the number of bits to be used for the subnetting. Enumerate the new subnetted address prefixes. IPV6 addresses are 128 bits. The first 64 bits is the network and subnet prefix. The next 64 bits is the host. The fixed network address is the first 48 bits and the next 16 bits are for the subnet. In the above example, C000 is the subnet. To subnet the address, you need to first determine the number of bits you will need for the subnet(s). Because you are doing 3-bit subnetting, you have n=2^3=8 networks. Next, determine the number of bits of the fixed address that is not part of the global address. The global address is 48 bits. Therefore, subtract 48 from 51. Assign this value to variable f=51-48=3. Let's pretend your decimal number is 197. You look for the corresponding number that is not greater than 197 in the Dec row. It is 128. So you turn on the 128 bit. Next, you add the next lower Dec number, 64 + 128 = 192. 192 is lower than 197, so turn on the corresponding 64 bit. Look at the Hex values that correspond to every set of 4 Bits values and add them. The Hex value that corresponds to Dec 128 is 8. The Hex value that corresponds to Dec 64 is 4. Add the two hex values, 8 + 4 = 12, which is a Hex value of C (Fig. A3). Next, add the hex value that corresponds to Dec 4 and Dec 1 and you get Hex value 5. So... the Hex translation to 197 is C5. Really really great post, you look like a expert!